We’ve all been there… behind schedule on a trip and feeling the anxiety of missing a date, party, or dinner where we ‘re expected. When running late we’ve all worried about a family member who will think we’ve been injured in the mountains… or fuming mad because the nice meal prepared for our return will be missed. It’s an anxiety causing us to rush decisions, take risks, push too hard, follow sketchy short cuts, or hurry across ground requiring care. We realize tardiness shouldn’t force us to make bad decisions, and yet it does. We don’t want loved ones worrying about us… or angry at us. And if we’re running quite late but in no real trouble, we worry a needless rescue might be launched. Then again if things really have gone south during the course of a day, we want family or friends at home paying attention to the return times we’ve given them. If we happen to be in a gulley with a leg bone sticking out of our calf, we want our backups calling in the cavalry at the time we’ve asked them to. So how does a sensible people establish a safety net without getting ensnared in it? This is a tricky tight rope where modern satellite technologies — Personal Locator Beacons and Satellite Communicators – provide solutions. 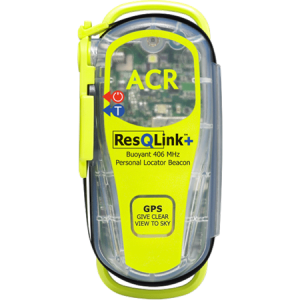 Personal Locator Beacons (PLBs) like the ACR ResQLink ($245) are the simplest and cheapest satellite technology giving you and your family greater peace of mind while you’re out adventuring. The Spot Gen 3 might be called ‘Communicator Lite’ — it’s a quarter the cost and two-thirds the weight and size of the Delorme/Garmin inReach Exporer. 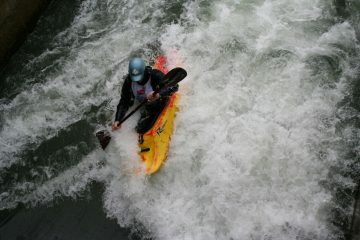 It also has about half the features and functionality of the inReach. 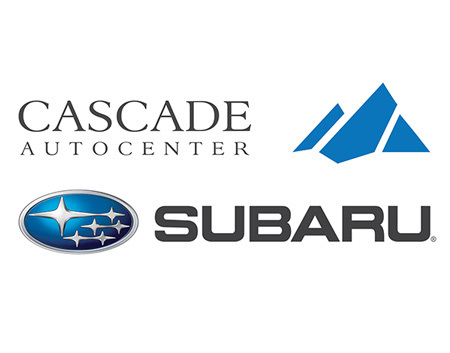 Basic subscription costs are similar for both units, with the inReach actually costing a few dollars per month less to operate. PLBs do not require a monthly subscription and should you suddenly find yourself neck-deep in trouble, maybe even with a broken neck, pushing the unit’s emergency button notifies authorities via satellites of your GPS coordinates and your need to be rescued. If you carry a PLB, safety contacts at home monitoring your safe return home should understand that many problems (unfavorable conditions, fatigue, equipment failure, minor injuries) can make you a little late (several hours) or even a lot late (a full day), but that you’ll activate the PLB if you’re truly in trouble. The drawback to PLBs? They are an all-or-nothing contingency for emergencies. There are no halfway measures — no nuances — to help people at home receive the occasional signal saying you’re fine (very comforting during a longer trip) or to warn family that you’re behind schedule but OK. If you carry a PLB, establish a protocol with those back home about how much slop time to give you to deal with problems encountered along a route. The amount of slop time will be considerably longer if a PLB is being carried, but PLBs can fail or you might be separated from the pack carrying the unit at the time of injury, so you still want people back home activating a rescue at some specific time. 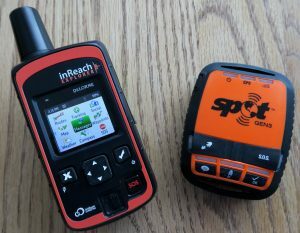 These are far from trivial concerns and are among the reasons that Satellite Communicators (SCs) like the Spot Gen 3 ($90) and the DeLorme/Garmin inReach Explorer ($250 for older closeout models – $450 for new version) have edged out PLBs in popularity. SCs require a monthly subscription plan with the basic plans for both units above costing roughly $15 per month. This makes SCs considerably more expensive to operate than PLBs, but the extra expense affords more functionality. Like a PLB, satellite communicators have an emergency button that will activate a rescue if pushed. Both of the SCs above also allow you to send several pre-programmed messages to a personalized contact list. The pre-programmed messages can be edited before any trip to say such things as 1) All’s well—we’re healthy and on schedule 2) We’re safe and sound but delays have us several hours to a half-day behind schedule – see map link to monitor our progress 3) Experiencing non-life-threatening problems that have us stuck – send help to map link location. These pre-programmed messages defuse the vast majority of worry on both sides of the equation– about your safety for people at home, about running late for you. The Spot Gen 3 can only send an all-out emergency message to a rescue center or the pre-programmed messages to your contact list. The DeLorme/Garmin inReach Explorer performs these same functions and a lot more. Most notably you can type and send custom text messages that are under 160 characters long via satellites. If you have a clear view of the sky and the appropriate contact information (email address or cell phone number), everyone you know is truly in reach, regardless of where you are. Likewise, anyone who has received a message from you can send you short messages (under 160 characters long). The inReach’s basic subscription plan lets you send or receive 10 custom texts per month with additional custom texts costing 50 cents each. This is completely adequate if you’re truly using the unit for emergency purposes. The pre-programmed messages telling your contact list that you’re OK, or that you are running a few hours late, or that you’re running a day late can all be sent as often as you like as part of the basic subscription fee. People who anticipate texting a lot, can bump up to more expensive subscription plans. In my own case, I purchased the DeLorme inReach Explorer a few years ago, for its ability to send and receive customized texts. The ability to communicate with the outside world is a big deal should things go awry on a remote trip. My research also indicated the Iridium satellite network used by the inReach communicator gives better global coverage than the Globalstar network used by the Spot Gen 3. On two recent month-long wilderness canoe trips to Alaska and the Northwest Territories of Canada, as well as on numerous shorter ski mountaineering and hiking trips in the Cascades and the Rockies, the inReach has worked flawlessly in transmitting pre-programmed and customized texts to family and friends monitoring our progress. On one of those long canoe trips, our group of four Wenatcheeites discovered at the eleventh hour that our return flight had been cancelled. We were able to communicate with family, ask that new flights be booked, and receive confirmation of the new bookings – all while we were on a remote river in the Canadian Arctic. Without this communication tool, we would have wasted a few days resolving the problem in a small Arctic village at the end of the trip. Whew, big bugaboo sidestepped. 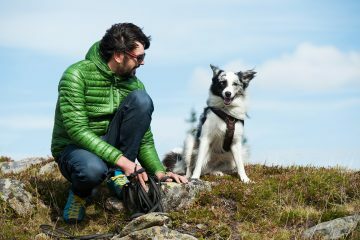 The weather information available to owners of the inReach and based on the unit’s location proved to be extremely useful and surprisingly accurate. Knowledge of oncoming storms, fair weather to come, expected wind strengths, and prevailing wind directions all assisted our decision making. On quite a few occasions, this weather information has helped us decide when we should hustle to make miles and when we should sit tight. Finally, the inReach Explorer handles most GPS functions. In the field you can take waypoints, establish tracks, and follow routes. You can preload waypoints established at home on mapping software and use the inReach to find those waypoints in the field. The older DeLorme Explorer unit I purchased is not as versatile as a dedicated, high-end GPS unit, but it’s good enough that my Garmin eTrex 30 usually stays at home if I’m taking the inReach with me. Since I purchased the inReach about two years ago, the original manufacturer (DeLorme) has been absorbed by Garmin. The newest hardware and subscription contracts are now provided through Garmin. The newest inReach Explorer from Garmin is more expensive ($450) has pretty much the same communication functionality as the unit I purchased a few years ago, but has better GPS functionality. Most notably the new Garmin units are preloaded with all the 24K topographic maps for the U.S. and Canada, as well as with 125K topo maps for Mexico — that’s an amazing amount of map capability. For another article regarding PLB’s and SC’s by Adam Vognild, click here. Note: Fred Stanley made me aware of this post about the older version of DeLorme inReach Explorer that I own. The article describes how the SOS lock switch on some units is defective and may not prevent the unit from accidentally sending an SOS call when the unit is stuffed in a pack and the SOS button gets randomly held down. Some units have sent rescue calls without the owner knowing it. Such a call would not only be embarrassing, it could cost you thousands of dollars for the false rescue activated — seriously. It’s easy to test whether the lock is protecting against a false SOS call — I tested my unit and the lock works properly.